Your course includes a series of 6 individualised and personalised Skype sessions including unlimited follow up support. 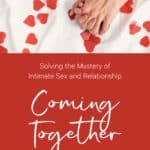 Oztantra are specialised relationship and sexuality counsellors and coaches, supporting and encouraging you in learning new skills, developing a deeper connection or in resolving major differences. Once you have commenced, we ensure that your support requirements become our priority. We do this by providing you with as much support and guidance in your relationship as you may require. 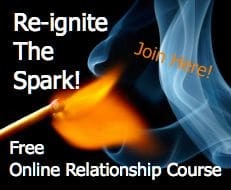 This will ensure your newly acquired initiatives in learning new skills, making changes, finding new meaning or totally revamp your relationship in the busyness of your life, really land and develop…..
And if you’re single, this is the perfect time for personal learning, growth and change. Once you’ve committed to your own personally designed program, we keep you motivated and focused on your chosen goals for change for the duration of your Oz tantra Relationship Course, because, we know how hard change, even positive change can be out there in the real world. Currently, the most common method for learning relationship skills is “on the job experience” combined with reading articles, books, or even watching the odd webinar. Imagine how effective this would be for you having your own specialised counsellors coaching you in the privacy of your own home, focusing specifically on your requirements…? We are aware of how difficult it can be to find quality and relevant information and advice, particularly in sexuality in relationship. 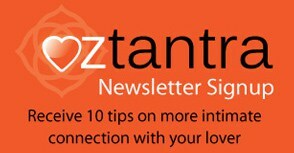 Oztantra is our passion and our website reflects this and contains dozens of free articles, pages, video’s, webinars and podcasts for you to enjoy. If not, we will create one and put it on our website…. Our passion is providing easily accessible, professional online and personal Relationship training, assistance and support.. Your personalised 6 x 1 hour professional face to face online sessions also includes unlimited phone or skype support that you may require in between sessions. This support is what makes the difference, grounding and connecting your learning process’s and change. If you found a lump, would you wait for years to have it checked out? Choosing to ignore those niggling little annoyances in the hope they will go away doesn’t work. They won’t go away, in fact the more they are pushed down and covered over, the bigger they become. 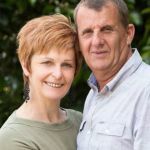 Committing to this program will not only create and motivate your change, but also have Annette & Graeme supporting you in your process, regardless of how big or small. 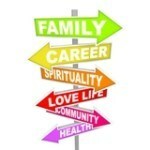 Your Personalised Relationship Course can incorporate…. Emotional intelligence skills, how to deal with anger, jealousy fear etc.. Your unique and personalized course is designed in consultation with you and your partner, and this is achieved using Skype, Facetime, Google hangouts or similar. At Oztantra, we are highly skilled and specialised in the use of online technology. No nakedness or sexual touching is required in any of your sessions. Also included are live webinars on relevant topics, which are streamed out via Youtube to watch again at your leisure. You no longer have to do it alone. Before you start, we will spend some time with you to ascertain exactly what it is that you’re seeking for yourself and how you would like us to support you. We will actually design your specific and unique program with you before you agree to commence, and we can also change directions part of the way through, if required. Throughout your course and in between each session, you will receive relevant and practical “homeplay” suggestions to continue your learning and actually practice your newfound skills in the privacy of your own bedroom. 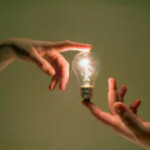 We can then answer any questions and fine tune your learning specific to your individual relationship. Your 6 sessions can be as regularly as you need but preferably no longer than monthly apart. Email and phone contact is as you require in between sessions, exactly when may require support. Live and interactive webinars on relevant topics that you and most likely other couples are facing and dealing with. Topics such as “is your Gspot missing in action” or “learning how to last longer” are but just a few of these topics. Check out our website, existing webinars and articles to see if you resonate with our work by following the links throughout this page..
Have your Skype or phone (or other medium ) session with us and design your course so you will know what you’re getting before you commit. Participate weekly, fortnightly or monthly as you learn and grow, with in between support and suggestions as required.. Consider changing or adding something extra or different to your individual course. (that’s why we suggest a close look at our website for areas that may be of interest) You may even convert your yet to be used portion into another Oztantra product, such as face to face sessions, workshop or retreat. If you would like to know more about this unique and limited offering, please contact us directly with your enquiry.